Pre-formatted with two printable areas, allowing label to be easily folded around wires to create a two-sided, printed flag. M-151-499 BK on WT 1.000", 1.000", 0.250" 90 Approx. 1.000" x 1.000"
M-152-499 BK on WT 1.500", 0.500", 0.250" 160 Approx. 500" x 1.500"
Make fully-formatted punch block strips or labels in one easy process. 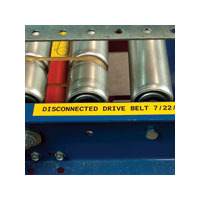 Using BMP®51’s built-in templates, LabelMark™ 5 Software or the Brady Mobile App easily create serialized punch block labels with or without grid lines to fit your equipment. 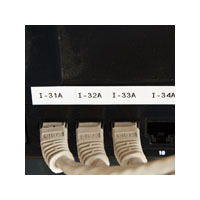 Label your ports, jacks, and outlets with a variety of adhesive labels or slide-in strips. Durable materials with permanent adhesive. 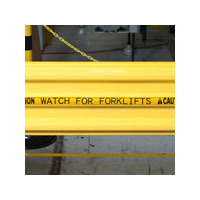 Available in a variety of sizes and colors for marking racks, bays, frames, slots, and other voice/data hardware. 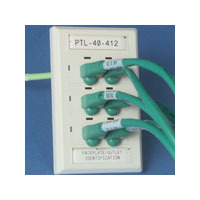 Features a clear, non-printable area that wraps around the cable and serves as an overlaminate to the printed text. Offers superior resistance to abrasion, dirt, oils, solvents, and water. 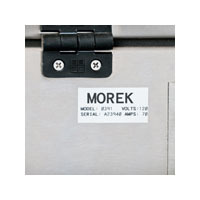 Various sizes, colors and label types for marking relays, solenoids, switches, drive motors, and other components. 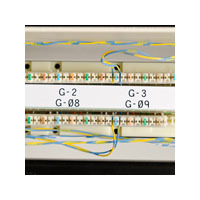 Features a clear, non-printable “tail” that wraps around the wire and serves as an overlaminate to the printed text. Protected print area offers superior chemical and abrasion resistance. 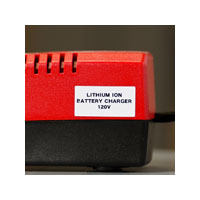 Available as individual die-cut markers or continuous cut-to-length labels. These heat-shrink sleeves are the ultimate in marker durability, permanence and aesthetic appearance. 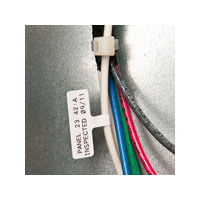 Fast shrink rate saves time and costs during installation. 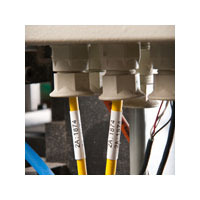 Available as individual die-cut markers or continuous cut-to-length tubing. 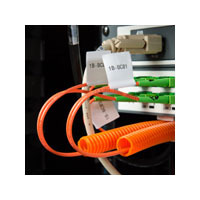 Durable vinyl cloth wrap around wire and cable markers made with an adhesive that allows the markers to be removed cleanly and reapplied if necessary. 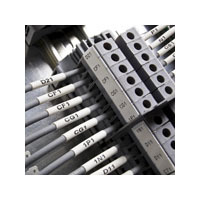 Allow more legible information on smaller diameter wires and permits you to handle and view labels without touching the wires. 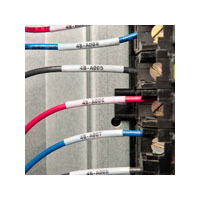 Long-lasting, durable materials to quickly identify control and electrical panels. 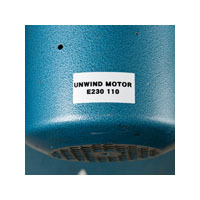 Destructible vinyl material prohibits one piece removal of label to indicate if the label has been tampered with. Ideal for marking texturized or rough surfaces. Available in die-cut pieces or continuous rolls. Adheres to difficult low-surface energy items such as PVC piping, blow-molded equipment cases, ABS and recycled plastics. 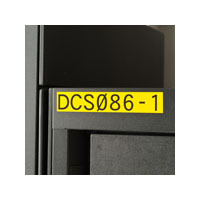 Create serial or rating plates with barcodes, graphics and more. Has a metal looking finish. 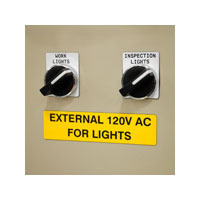 Highly reflective labels shine back brightly when struck by light. Choose from several materials with aggressive adhesives for use in commercial/industrial applications, including low surface energy and textured surfaces. Pliable vinyl that conforms well to smooth or rough surfaces such as pipes, walls, doors, panels, shelving, bins, and equipment. Excellent resistance to oils, detergents, dirt, grime, and many solvents. Lasts up to 8-10 years outdoors. 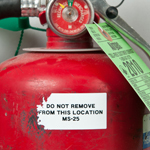 B-461 – Ultra thin, self-laminating polyester label; when wrapped on itself, lasts in liquid nitrogen. 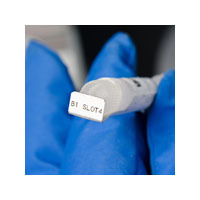 B-490 – When wrapped on itself, can label frosted, frozen or room temperature tubes; lasts in hot water baths & autoclaves. 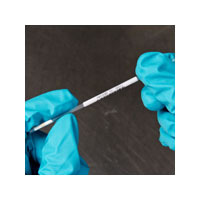 B-492 – Ultra thin; can label frosted, frozen or room temperature tubes; lasts in hot water baths and autoclaves. B-499 – Nylon cloth material with a thick construction for easy handling; lasts in freezers and autoclaves. 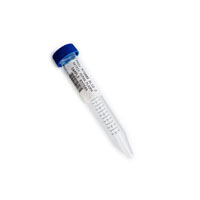 Ideal for labeling cryo tubes that will be exposed to extreme temperatures in the lab. Holds-up against common label chemicals and sized to fit the most popular tube sizes. 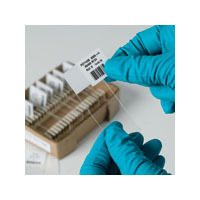 B-461 – Ultra thin, self-laminating polyester label; when wrapped on itself, lasts in liquid nitrogen, autoclaves and hot water baths. B-490 – When wrapped on itself, can label frosted, frozen or room temperature tubes; lasts in liquid nitrogen, autoclaves & hot water baths. 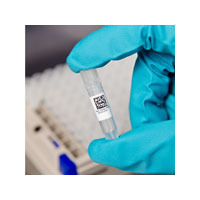 B-492 – Ultra thin; can label frosted, frozen or room temperature tubes and lasts in liquid nitrogen. B-499* – Nylon cloth material with a thick construction for easy handling; lasts in liquid nitrogen, freezers and autoclaves. 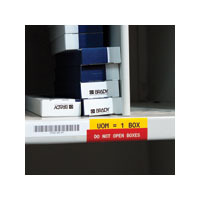 Available for both small and large straws, these self-laminating labels protect the printed information for lasting identification. 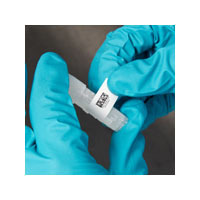 B-427 – Self-Laminating vial label for cold temperatures only; lasts in liquid nitrogen and freezers. Materials sized to fit the larger dimensions of conical, while still providing the needed temperature and chemical resistance properties. 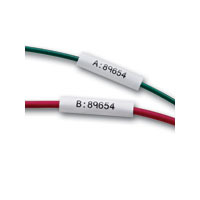 B-492 – Ultra thin; can label frosted, frozen or room temperature tubes; lasts in hot water baths & autoclaves. B-499* – Nylon cloth material with a thick construction for easy handling; lasts in freezers & autoclaves. Chemically-resistant polyester made to fit common microplate sizes. B-488 – Chemically-resistant polyester; resists short term xylene exposure, DMSO, IPA, and ethanol; lasts in freezers and autoclaves. Sized to identify the end of a cryo cane. Should be wrapped around the edges of the cane to maximize adhesion. B-492 - Lasts in liquid nitrogen; sized so ends of label can fold beneath a standard cane top. Material sized to fit the top of processed tissue cassettes for post-process identification. B-482 – For use on pre-processed tissue cassettes. 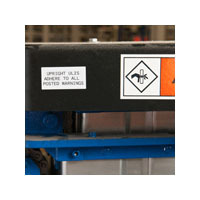 For use with the BSP™31 Label Attachment System. 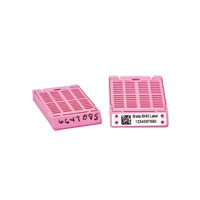 B-498 – Re-identification for front, side, or top of processed cassettes. 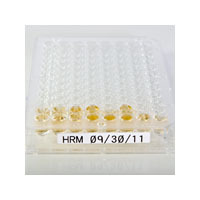 Sized to label slides, this material offers moderate chemical resistance and can withstand short term xylene exposure, DMSO and ethanol. B-481 – Extremely chemical resistant; withstands H&E staining process and xylene exposure. 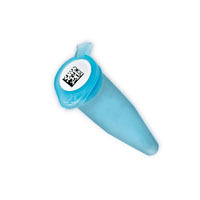 Materials to identify a variety of common lab glassware items and other consumables. B-432 – Clear label for dishes and bottles; lasts in freezers and autoclaves. B-498 – Thick, easy to handle, removable label; lasts in freezers. B-499 – Thick, easy to handle, permanent label; lasts in liquid nitrogen, freezers & autoclaves.